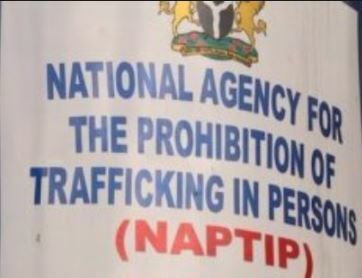 The National Agency for the Prohibition of Trafficking in Persons (NAPTIP) said it had sealed an illegal maternity and baby factory in Nyanya, Abuja. This is contained in a statement signed by the NAPTIP spokesman, Mr Josiah Emerole, and made available to newsmen in Abuja on Sunday. Emerole said that the acclaimed Chief Medical Director of the baby factory was arrested few weeks back by NAPTIP for allegedly swindling several women who were in dare need of babies. He said that the sealing of the illegal medical outfit, Akuchi Herbal Concept, located on Old road, around Pure Water area, New Nyanyan, Abuja, was part of the ongoing investigation into the case. According to him, the case had already generated public concern among Nigerians especially relations of the victims. The News Agency of Nigeria (NAN) recalls that the operatives of NAPTIP last week arrested a 38-year-old herbalist, (names withheld) for allegedly deceiving women into thinking they are pregnant and thereafter giving other people’s babies to them having collected lots of money. The suspect, who is from Enugu State is the owner of Akuchi Herbal Concept, located at New Nyanya, Abuja, was arrested after weeks of diligent surveillance by combined team of Officers of the agency and those of the Department of State Services. The spokesman said that the latest operation was coordinated by the Director, Investigation and Monitoring Department, Mr Greg Esele on the directive of the Director – General, Ms Julie Okah- Donli. He said the agency recovered local herbs used by the suspect to stimulate ovulation for women, some soaked black-coloured leaves and concoction, among others. Emerole explained that contrary to the suspect’s claim as displayed on the signpost, the Clinic was virtually empty thereby raising question on how the women were able to believe his claims. The spokesman quoted the director general of NAPTIP as saying, investigation was ongoing to determine the level of crime allegedly committed by the suspect. “Investigation is ongoing to clearly establish level of the unwholesome activities of the suspect and we are not leaving any stone unturned in getting to the roots of the crime. “This is also in line with our determination to ensure that Nigerians are not exploited in any way, ” she said.